Read the statement here. These authors worked together to write a statement about what Employment First means and why it’s important. Here is an excerpt from the statement. All people should have opportunities for real jobs with real wages. It will get us out of poverty. We will be more independent. We will feel more included. 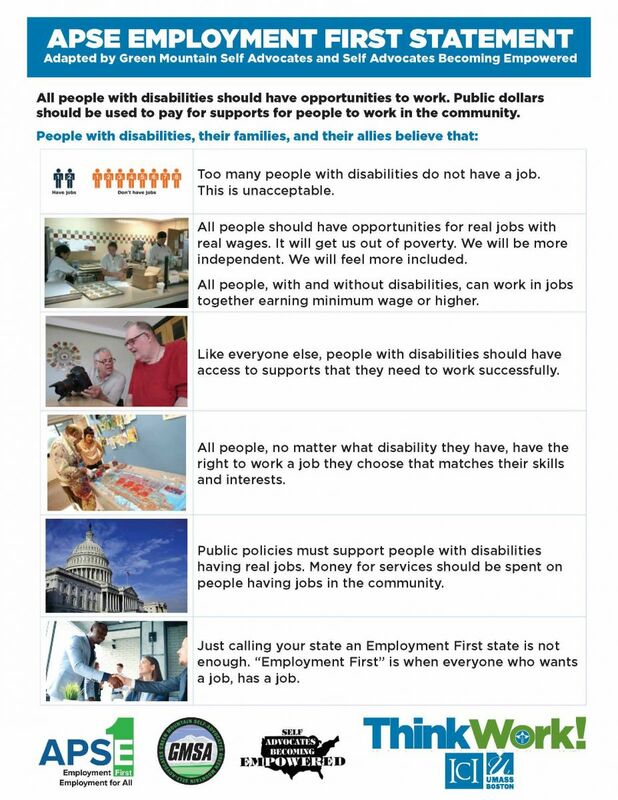 All people, with and without disabilities, can work in jobs together earning minimum wage or higher. Like everyone else, people with disabilities should have access to supports that they need to work successfully. All people, no matter what disability they have, have the right to work a job they choose that matches their skills and interests. Just calling your state an Employment First state is not enough. “Employment First” is when everyone who wants a job, has a job. Download the whole statement here.